With its powerful feeding system, wider presser foot stroke, higher foot lift and longer stitch length, this sturdy industrial sewing machine can deal with many different types of material and thick sewing threads. 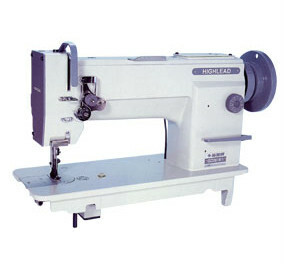 It features a large hook & base for increased lower bobbin thread capacity and Compound feeding by lower feed dog, needle bar and walking presser foot. 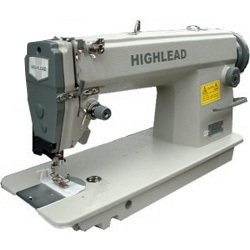 The Highlead GC0618-1-SC: is a general purpose needle feed, walking foot sewing machine for use on: bags, luggage, sofa cushions, horse blankets, canvas, covers, plastic/rubber materials, general upholstery & leather work etc.